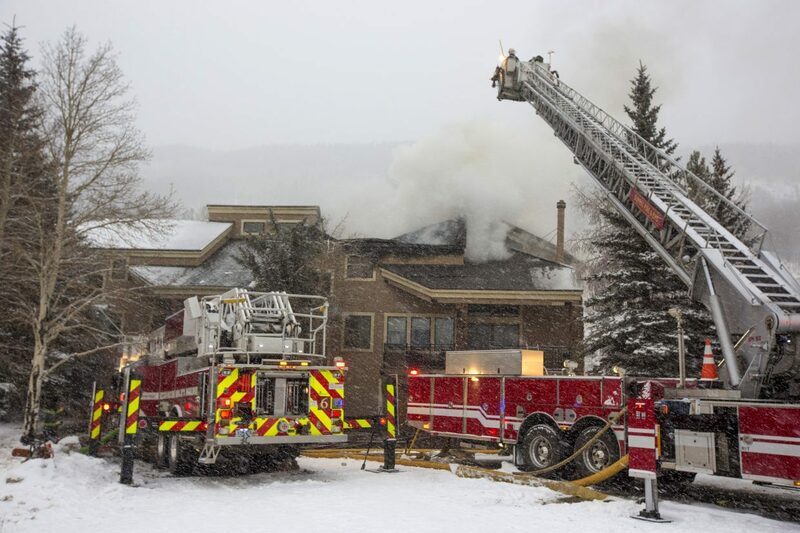 Summit Fire and EMS Department works to put out the fire at the Enclave Condos Friday morning, Nov. 23, near Keystone Ski Resort. 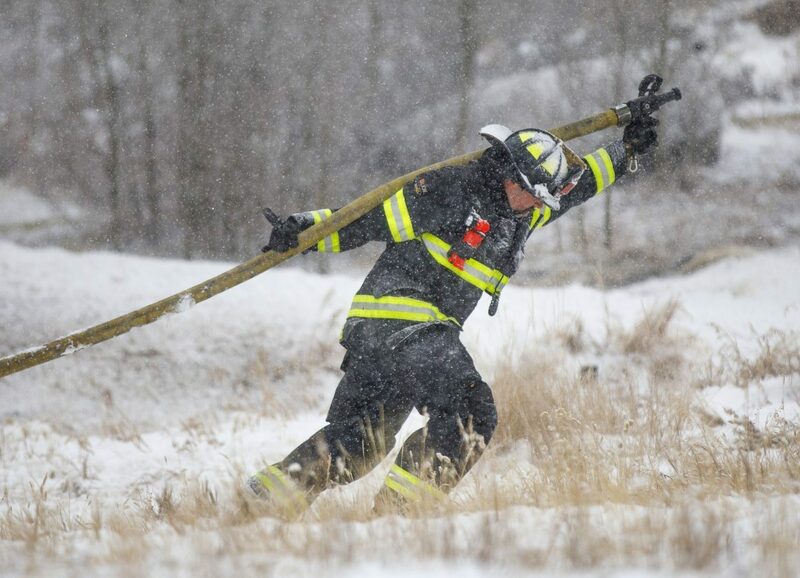 The fire was reported at 6 a.m. and no was was injured. 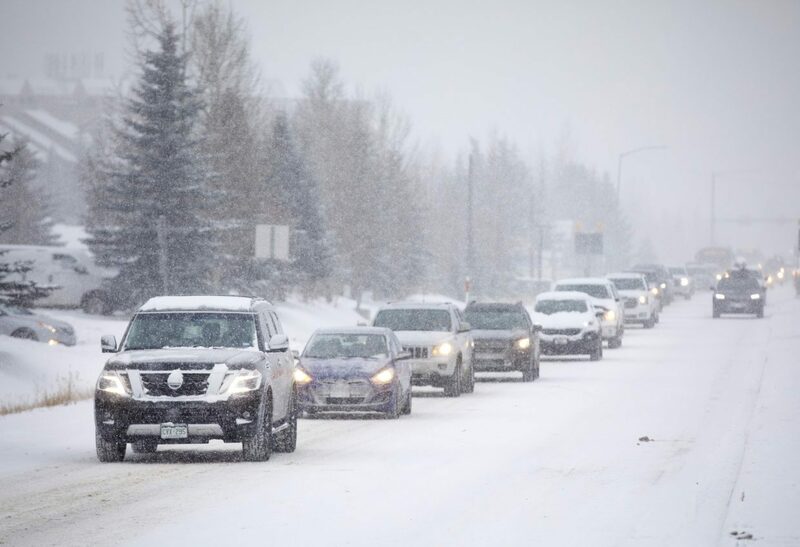 Traffic outside of Keystone Resort on Friday, Nov. 23, 2018. 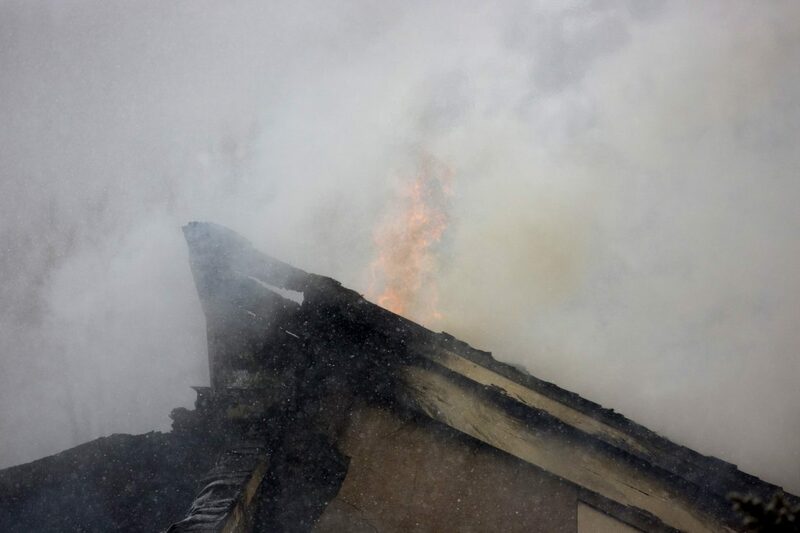 Update at 12:12 p.m. – The fire at The Enclave condo complex outside of Keystone has been put out, according to Steve Lipsher with Summit Fire & EMS. Fire crews from Summit Fire & EMS and Red, White & Blue are still on scene stabilizing the structure and searching for “hot spots” that could potentially flare back up. The investigation into the cause of the fire is currently underway. Traffic is still a concern in the area as fire crews work to clean up the scene. Westbound traffic, which is already light due to the closure of Loveland Pass, is being diverted through Keystone Resort. Firefighters from Summit Fire & EMS and Red, White & Blue are currently battling a structure fire that broke out inside a condo at The Enclave this morning, just outside of the River Run Village at Keystone Resort. No injuries have been reported. Firefighters from both departments responded to the call at around 6 a.m. after flames became visible coming from eastern most unit of the complex. Officials determined there was nobody in the unit that was on fire, and evacuated the adjacent units. About 35 firefighters are currently on scene, along with four fire engines and three ladder trucks. 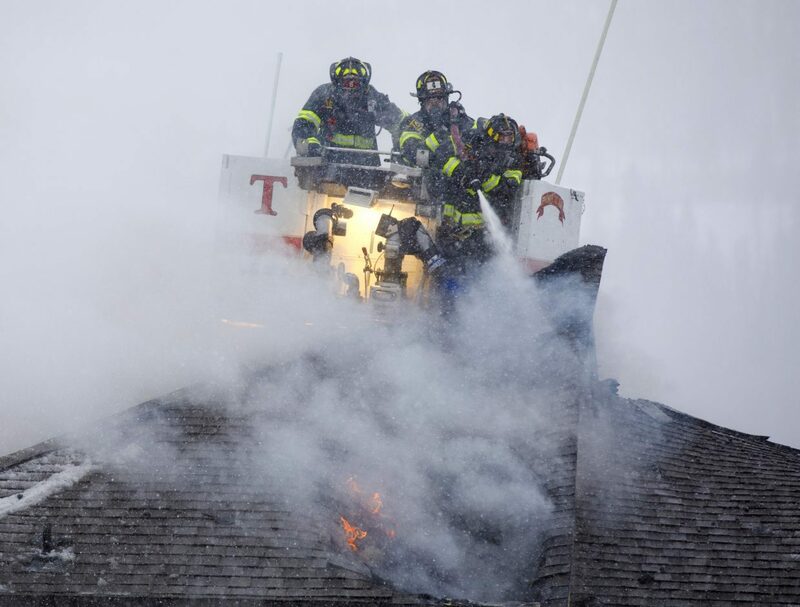 Lipsher said that firefighters were initially able to enter the unit, but that structural concerns have forced officials to change their tactics, moving outside of the building, tearing off bits of the roof and attacking the fire from the outside. “It’s a very tenacious fire,” said Lipsher. The condo has already sustained substantial damage, though the complex as a whole is not expected to be at risk. Liphser said that firefighters also investigated the condo next door to the fire, which also suffered damage from scorching and smoke damage. Officials believe that it will likely be several more hours before the fire is doused, at which point an investigation will be launched to determine the cause. Lipsher noted that there may be traffic backups in the area for the next couple of hours as fire crews continue to battle the flames. 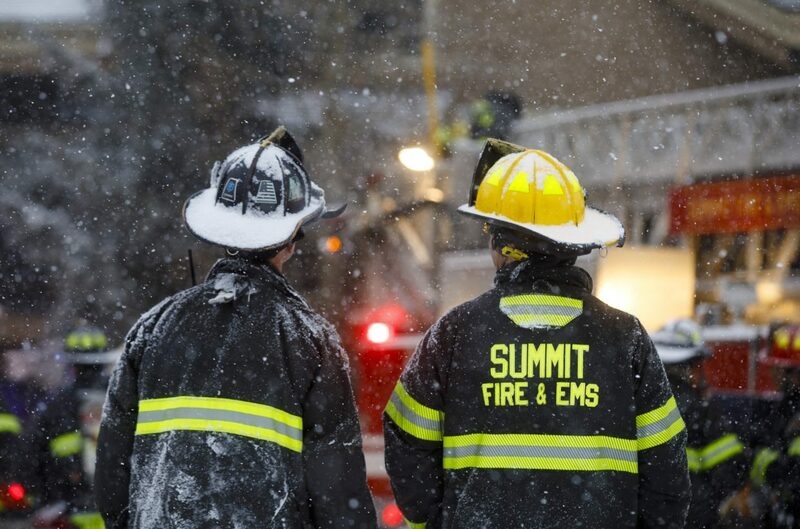 While Summit Fire & EMS and Red, White & Blue are engaged in the fight, fire and emergency crews from nearby counties have been called in to Summit County to assist with other calls as part of a mutual aid agreement, said Lipsher.